Having spent much of our youth in Utah and our adulthood in Colorado, we here at the Dirty Dish Club are no strangers to a fire ban. 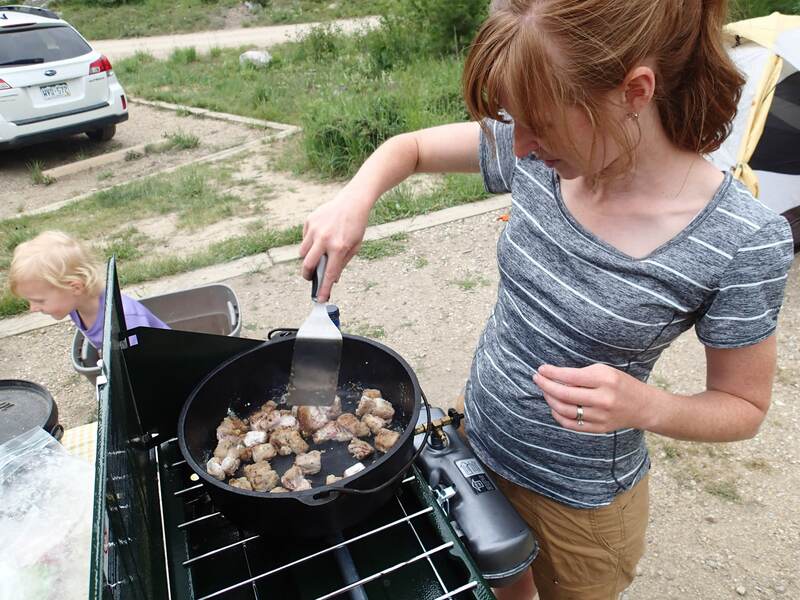 As much as we love dutch oven cooking, we realize that at some point during the summer we will likely no longer be allowed to do so while camping. I mentioned on Instagram that this year has been an especially dry, hot year and the fire bans started early and have been more severe – we’re not even allowed to do charcoal in our own backyard at this point. 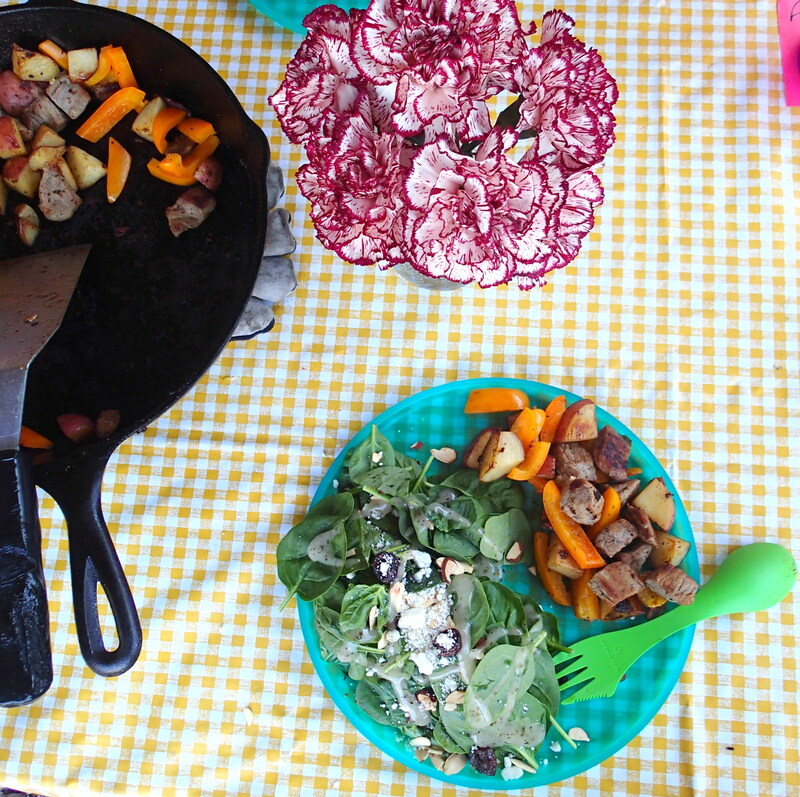 Since heating up a can of pork n’ beans isn’t really our style, we’ve had to get creative to still make camping a culinary delight. Here are some of our favorite things to eat when charcoal and open flames are forbidden. We like to have a hearty breakfast that will fuel us on the trail, but not one that will take a lot of time. Our favorites include the following, often paired with a mug of cocoa or a shelf stable milk. Mountain Man Skillet – An egg scramble with anything you want in it – hashbrowns, sausage/bacon, cheese, veggies, etc. 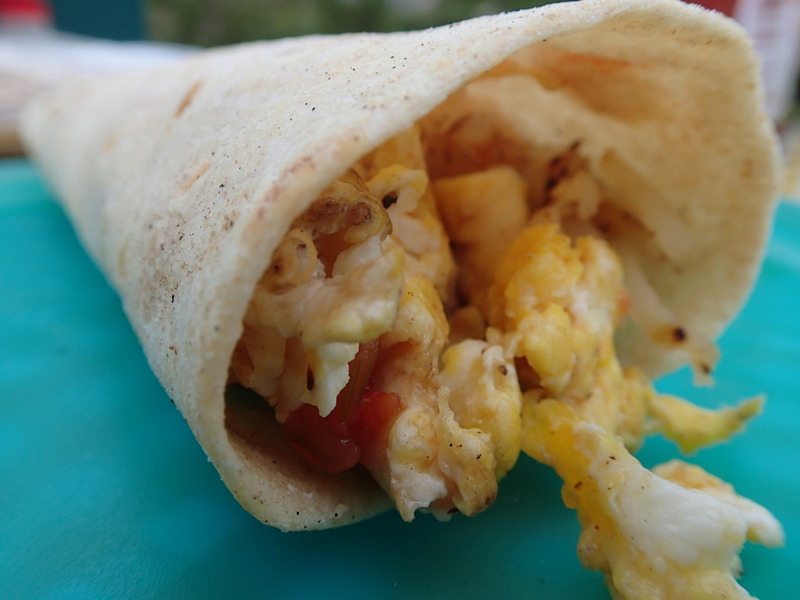 This really is just a breakfast burrito minus the tortilla. 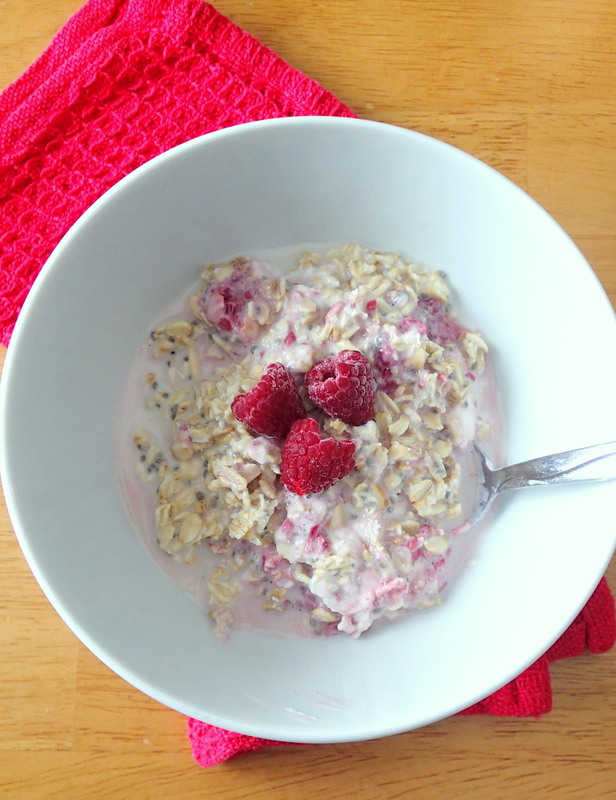 Overnight Oats – There are tons of recipes out there, we’re partial to our raspberries and cream overnight oats. Fried Eggs and Toast – Toast was made possible by my brother. Years ago, he gave us this little camping toaster that sits on your stove burner. 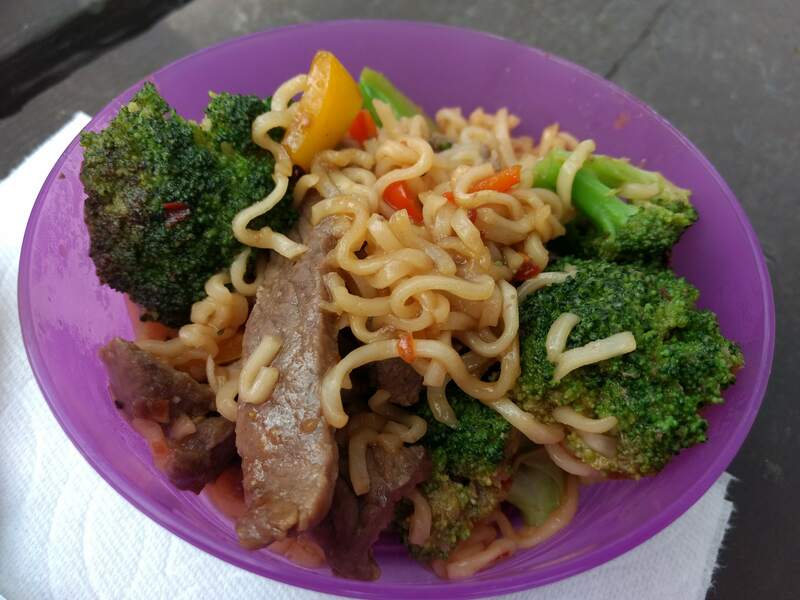 We mostly snack for lunch since we’re usually out on a hike during the day. 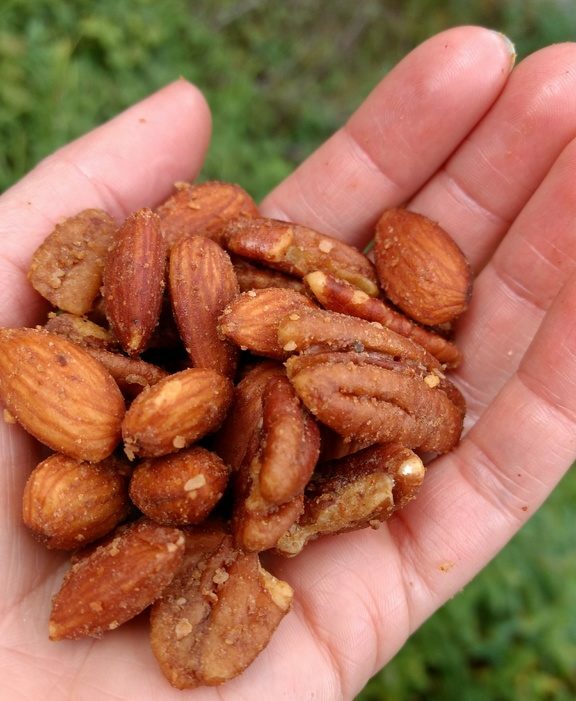 We typically bring salami, crackers, nuts (savory spiced nuts anyone? ), granola bars, and a sugary treat for bribing purposes. Dinner is usually the meal we spend the most time on. We think of it as our luxurious reward at the end of a day of hiking. We want it to be filling, but well rounded. 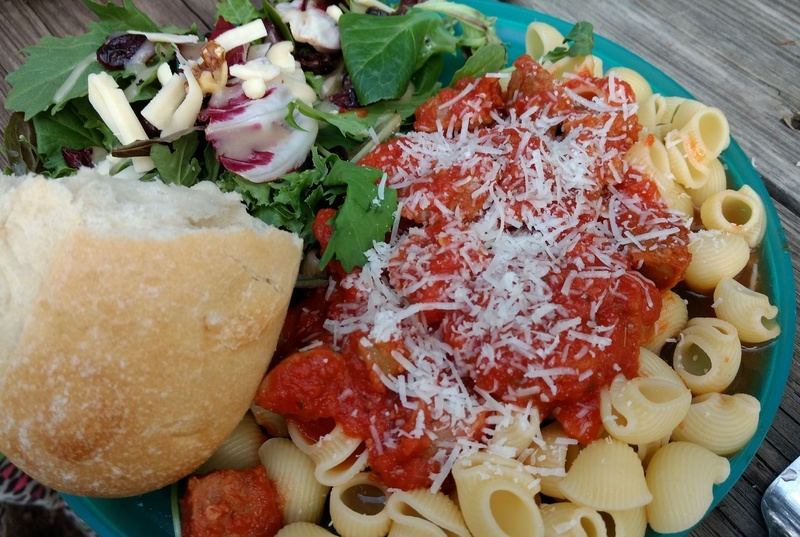 Backpacking Pasta – Add a bagged salad and some crusty bread (homemade sourdough if you’re going the extra mile) and call it a night. 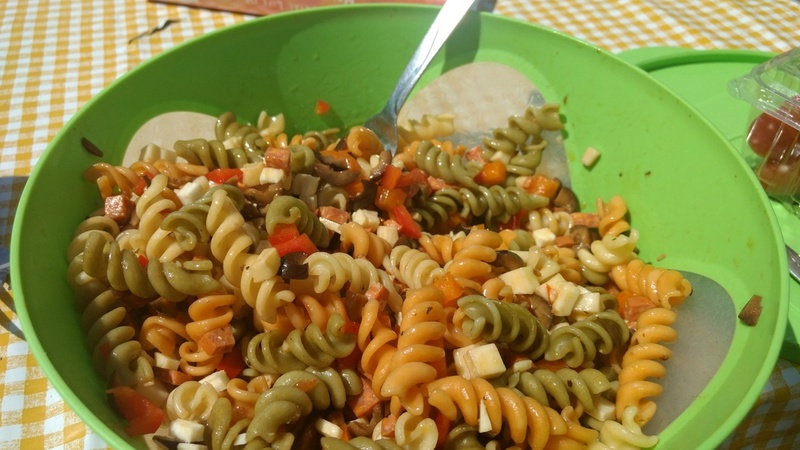 Pasta Salad – We use this recipe with a few tweaks. Make it at home and pack carefully in the cooler. Tacos – A favorite with our kids (especially if it’s Tuesday). Can add chips and salsa and/or guac as a side. 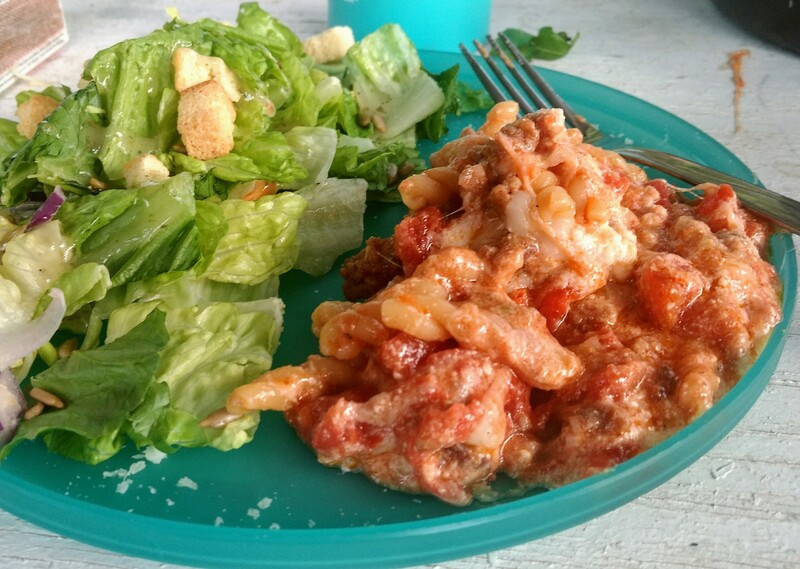 Skillet Lasagna – A cheesy, comforting meal. We slightly adapt this recipe. 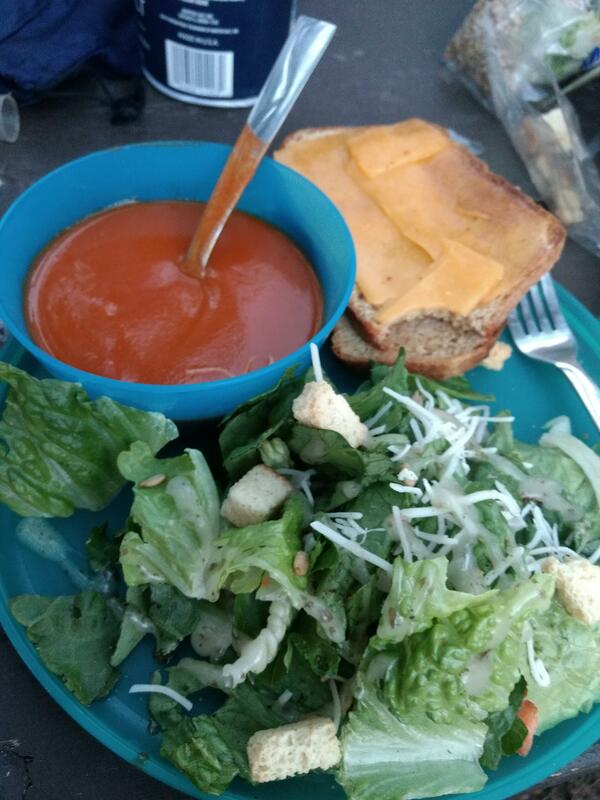 Grilled Cheese and Tomato Soup – A super easy meal that’s easy to take on the road. 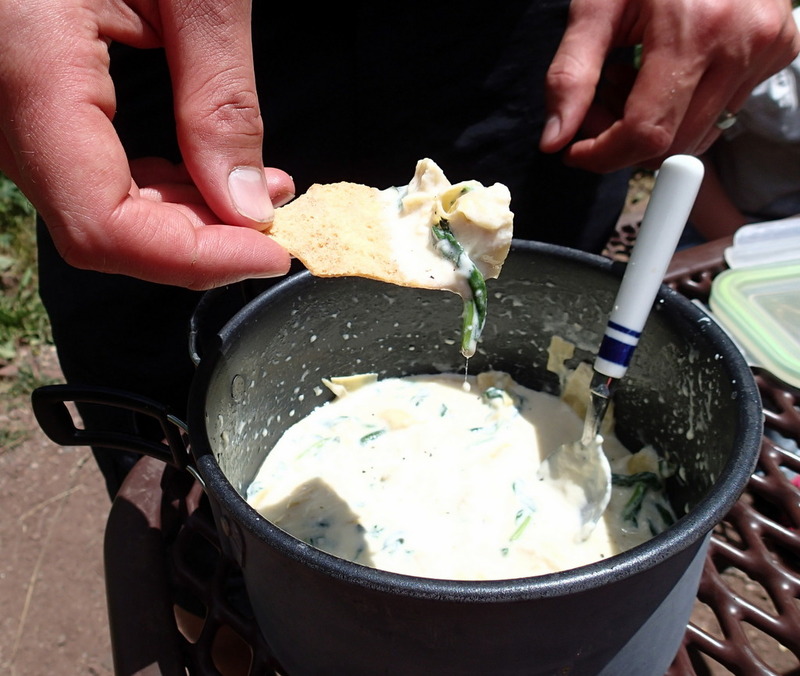 Backpacking Hot Spinach Artichoke Dip – This works as both a meal or a side depending on how hungry you are. Not being able to do a dutch oven dessert or roast some mallows, is honestly the hardest part of a fire ban. To comfort ourselves, we usually bring along a supply of cookies (snickerdoodles, oreos, whole wheat chocolate chip, any or all will do) to nibble on as we sit around our lantern and play card games. A throwback to a hike in 2013 (ack, how time flies!) 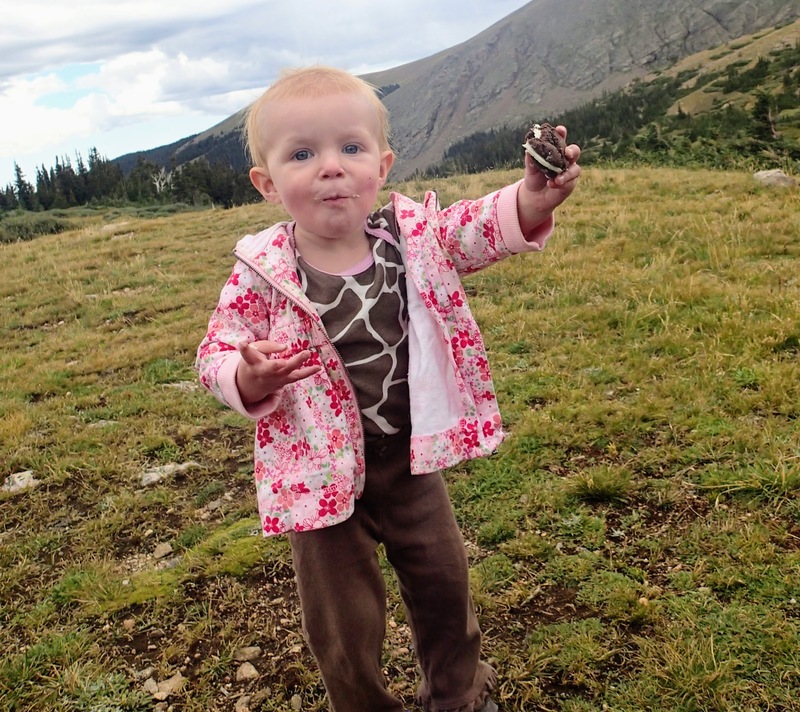 where we immensely enjoyed some homemade oreos.